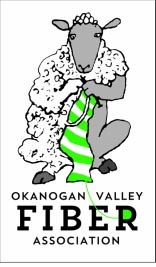 Join the Okanogan Valley Fiber Association on May 30 & 31 for an array of workshops related to the fiber arts. Classes include Lace Knitting, Core Spinning, Drafting Therapy, Sock Knitting, Beaded Necklaces and Flower Pounding, among others. All classes last 3 hours with a cost of $65. Some classes may have an extra materials fee. Check out the Okanogan Valley Fiber Arts website for a full list of classes.